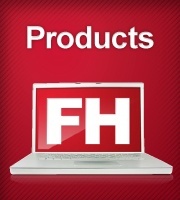 FH Mobile Response cannot be installed on the same workstation with any previous FH Mobile products at this time. FH Mobile Response must be installed on a different mobile workstation. FH Mobile Response requires Windows OS computers. Click here for system requirements. Note: Internet connectivity is recommended, however FH Mobile Response is fully functional without a live connection. We recommend Windows 2003 or 2008 for installations on network servers.